When thinking about dentists and a visit to the clinic, most people think it is just about teeth. As we have seen from our previous dental blogs, a visit to the dentist chair is about far more than this. Following in with the spirit of this, one other area that gets overlooked is the tongue. In our latest article we take a closer look at why the tongue should be considered in your oral health routine and what some of the common problems associated with this can mean. * Did you know that an average persons tongue is four inches long. Normally, only about two-thirds of the tongue are normally visible. * Depending on the individual an average tongue can contain anywhere between 3,000 and 10,000 taste buds. * Tongues have eight muscles – half of these are and half aren’t attached to any bones. It is due to this that the flexibility of the shape of the tongue allows for speech in the way that we know it. What should a tongue normally look like? Without pictures this is hard to describe. A tongue should normally be clean looking and of a light pinky colour. Anything other than this can indicate a problem. In the rest of the posting we’ll look at what some of these indications can be. If your tongue becomes a bright pink colour it is likely you have some kind of vitamin deficiency that needs addressing. White coloured tongues can be a result of poor oral hygiene, or the result of excessive smoking / drinking or some kind of infection. Sometimes it is common to bite or nip the tongue when chewing or playing sport. This can result in pain or swelling. This is normally nothing to worry about and can be treated at home with remedies and care. If the injury is severe more prompt medical attention may be required. Thrush is by far one of the most common infections of the tongue. The fungus which produces thrush is always present in the body but sometimes it grows too much leading to the condition. When this occurs in the mouth or on the tongue, it is known as oral thrush. This is normally treated by medication and can take a couple of weeks for normality to resume. Sometimes sores can develop on the tongue, and this can happen for a variety of reasons. Perhaps you have eaten food that is too spicy and it has ‘burnt’ the lining of the tongue. Stress, illness or hormonal changes are other reasons why sores can suddenly develop and you are advised to get this checked – especially if they are painful or multiple sores develop. As this posting shows the relationship between the tongue and oral / general health is closely related. If you have problems with your tongue our advice is to talk to your dentist or visit your GP to raise your concerns. You may be surprised at how treating any problems associated with this can dramatically improve you general health and help with your teeth too. 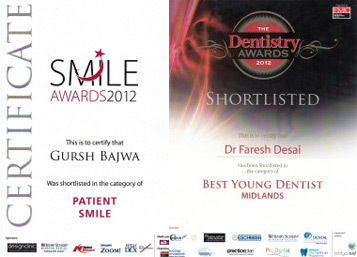 To talk to us about any aspect of your oral health, find our details in the contact us page now.